Stardock's "Elemental: War of Magic" will be released this month without the unpopular digital rights management system. (CNN) -- Digital Rights Management, or DRM, has been touted as a piracy preventer by entertainment and gaming manufacturers. But it's been blasted by end users as restrictive and ineffective against illegal downloading and copying of electronic media. One gaming company says its heard the cries of its players and plans to release its latest title Tuesday without the dreaded DRM. Stardock, makers of the "Galactic Civilizations" series, say they aren't inviting pirates to copy their game, but that they think they've found a way to keep their customers happy and still put a dent in the counterfeit gaming process. DRM encrypts material in such a way that only a particular device or code can play or retrieve it. Gamers who buy DRM games usually get a digital code to insert at the beginning of the game, which allows it to be played on that player's console or computer. Companies claim they need to use DRM to maintain the integrity of the games they produce and ensure that the end user is getting the quality for which they've paid. Publisher Ubisoft created a virtual firestorm in March when it put DRM protections on its game, "Assassin's Creed," for the PC. Players quickly lashed out, calling the DRM burdensome, while at the same time being easy to circumvent by pirates. It required the game to constantly be connected online to verify the purchase. So if a player's internet connection was lost during game play, all progress was lost and players were forced to restart or hope for a reconnection. The same was true if Ubisoft's master servers went down. Other gaming companies have tried to protect their product with other types of DRM systems. Some succeed, while others are still working toward a system that thwarts pirates and doesn't disrupt legitimate game play. Stardock believes that DRM doesn't work and refuses to place any DRM copy protection on its games. But they say they still have a process that only allows legitimate customers access to all the game's features. Their latest title, "Elemental: War of Magic," is a turn-based strategy game that contains a role-playing game element. 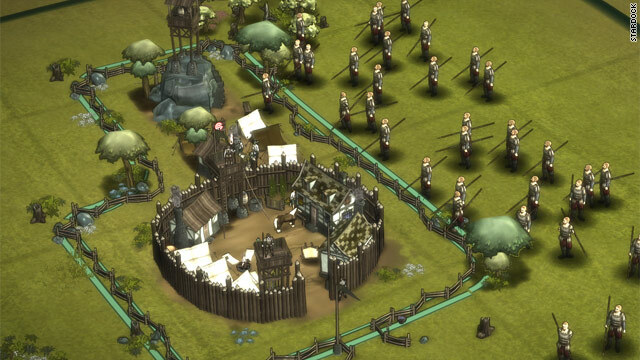 As a ruler, the player creates new cities, researches technology and recruits specialists and champions to do his or her bidding -- much like a strategy game. However, the player also works to increase his or her own character's stats, talents and spells like a role-playing game character. Brad Wardell, CEO of Stardock, hopes the combination of play styles will be a hit. "Unlike some games where you do the quest and if you fail, someone else has to clean up the mess, in our game, you are the one to have to clean up from adventurers who unleashed evil on the world," Wardell said. "You will be able to literally build your own world with your own quests and monsters." Wardell said the game was to be released Tuesday, exclusively for PC, in stores or through Impulse, a digital download platform without any DRM protections. He noted that the company tends to release lots of free updates for its games. By doling out the free material after a gamer registers, Wardell said pirates will be discouraged because they won't want to waste their time with a product that doesn't have all the features. "If you buy it online, we know who you are," Wardell said. "If you buy it retail, there are concerns about being inconvenienced by (DRM) connections. We want to remove those concerns and try to focus on our customer." He said a player's paid account with Stardock will grant them access to everything the game has to offer, including the ability to make your own challenges and creatures and share them with others. He said art in the game is designed to allow for lower hardware requirements, rendering attractive images without requiring players to upgrade their computers.